PostgreSQL functions are also known as PostgreSQL stored procedures. 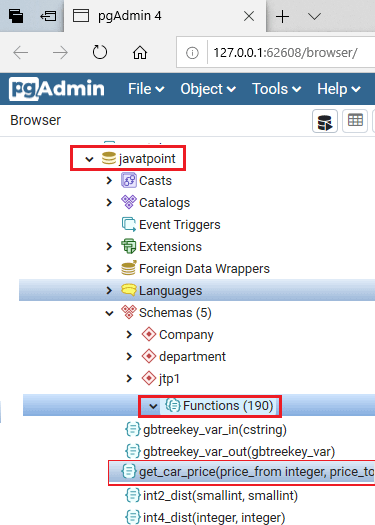 A PostgreSQL function or a stored procedure is a set of SQL and procedural statements (declarations, assignments, loops, flow-of-control etc.) that stored on the database server and can be invoked using the SQL interface. 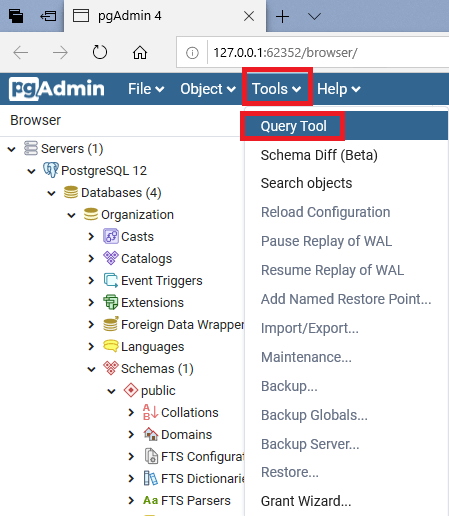 It facilitates you to carry out operations that would normally take several queries and round trips in a single function within the database. 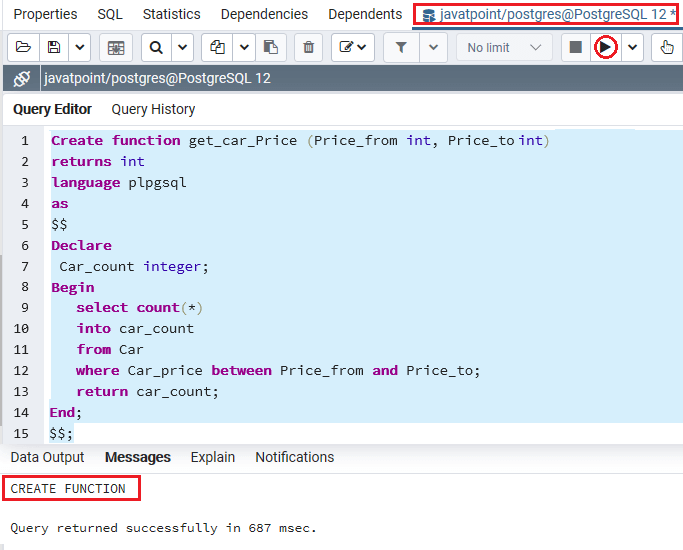 You can create PostgreSQL functions in many languages such as SQL, PL/pgSQL, C, Python etc. [OR REPLACE]: It is optional. Itn allows you to modify an existing function. RETURN: It specifies a data type you are going to return from the function. It can be a base, composite, or domain type, or can reference the type of a table column. function_body: The function_body contains the executable parts. plpgsql: It specifies the name of the language in which the function is implemented. Let's take an example to demonstrate PostgreSQL function. We have to create a function named totalrecords() on that EMPLOYEES table. You can see that a function named "totalrecords" is created.